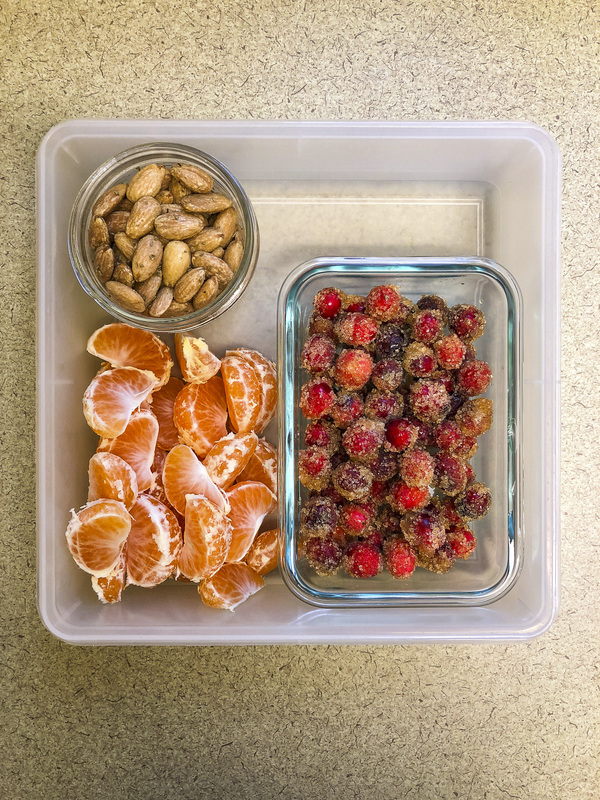 What’s one of the best ways to stay on track with healthy food choices? Plan ahead. 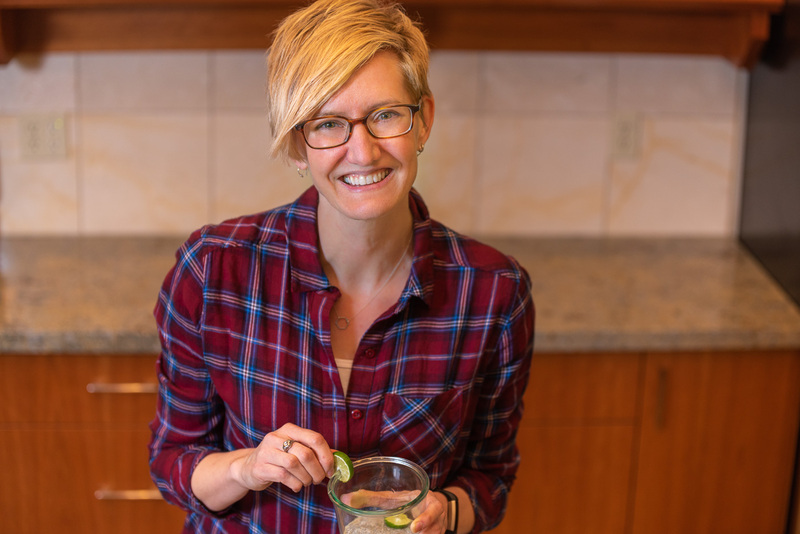 That could mean meal prep on Sunday to ensure healthy dinners for the next 5 nights or making your own flavored water (bubbly or otherwise) at home to grab in a pinch when you’re rushing out the door to run errands. 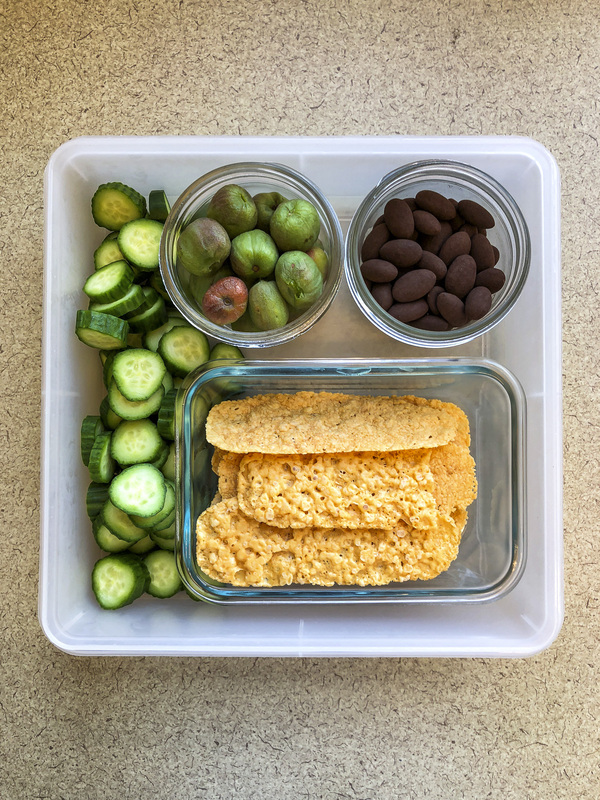 It might also mean preparing yourself with healthy snacks so you’re not tempted by candy, donuts, or worse when the mood strikes. 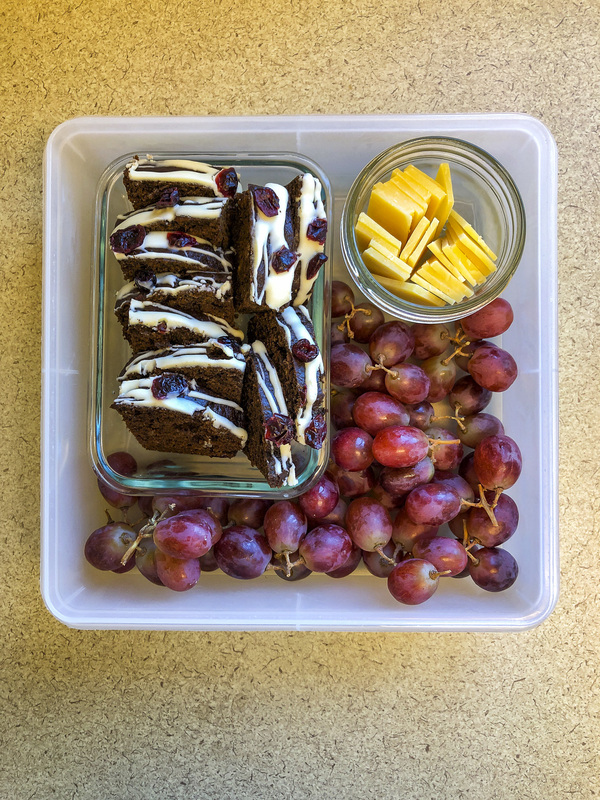 I’ve posted before several times (here, here, and here) about my attempts to bring reasonably reasonable snacks to work with me to share with my colleagues. 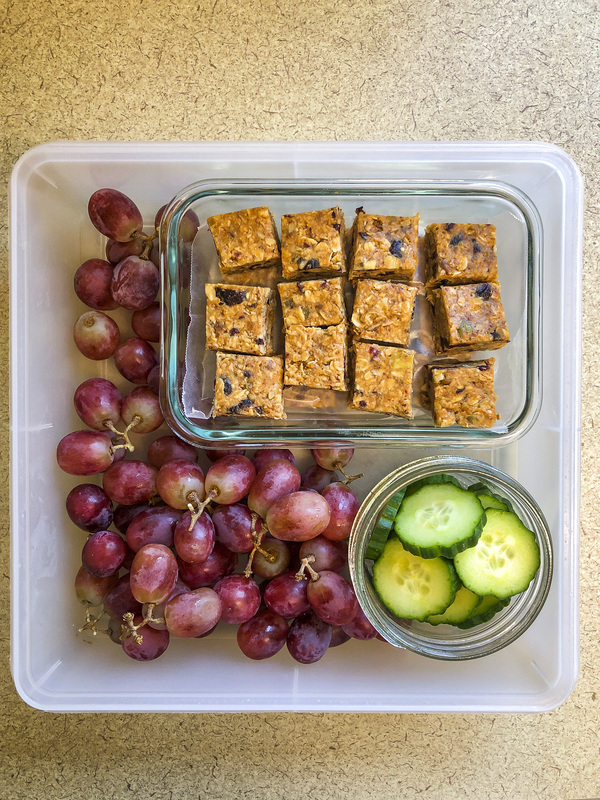 It’s an ongoing project that brings me joy so I’m continually pinning recipe ideas and looking for unique and potentially tasty products at the grocery store; all this in the hope that I’ll be able to fill my trusty square Tupperware with finger foods that will please myself and my snackers. 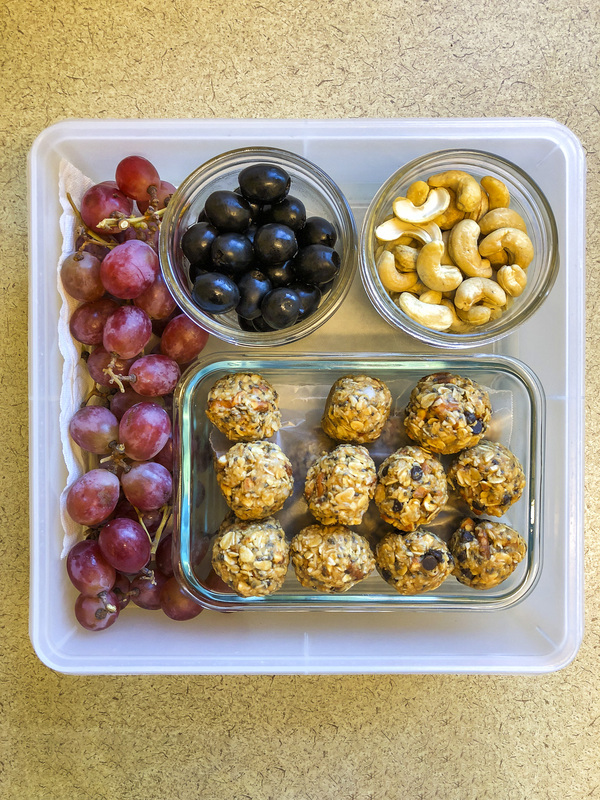 I bring my planned-ahead snackies to work but you might bring yours to swim practice or a book club, or on a car trip or hiking adventure. 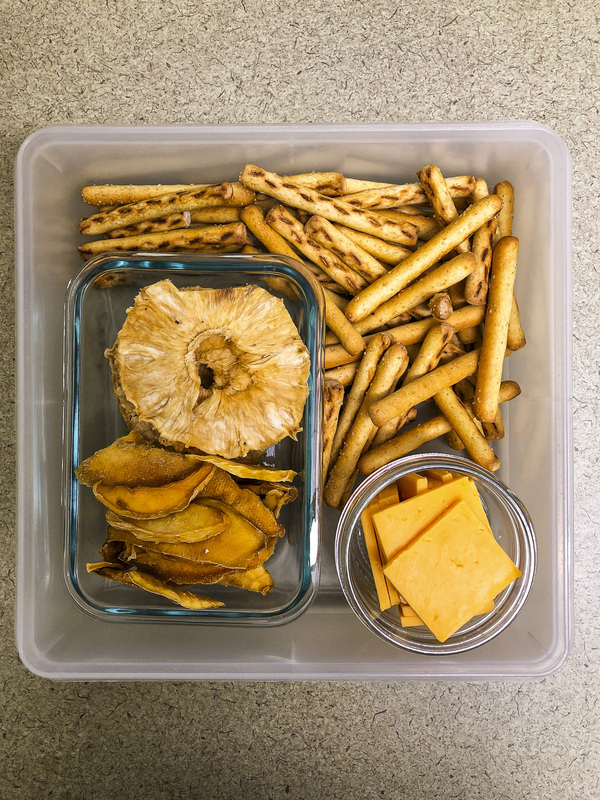 In any case I’m hoping these pics and the accompanying links offer some ideas to revitalize your snacking opportunities. As you can see, I rely on fruit, nuts, cheese, veggies, and energy balls/bites the most. 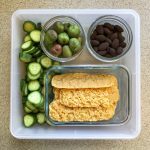 I’m usually trying to choose finger foods that are easy to make and come with a low mess factor. Together they provide a good dose of protein, fiber, minerals, vitamins, and satisfaction. 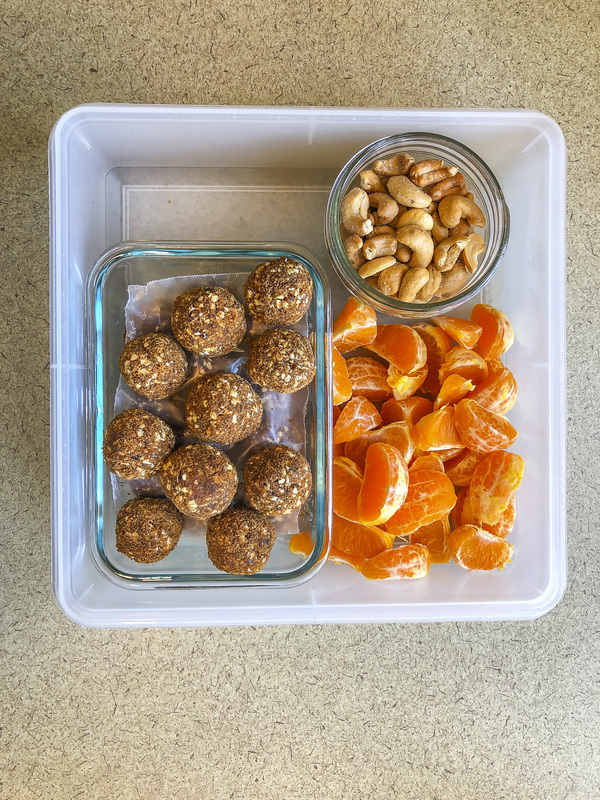 The next time your schedule sets you up with several hours between meals, consider planning ahead and packing a little something portable. 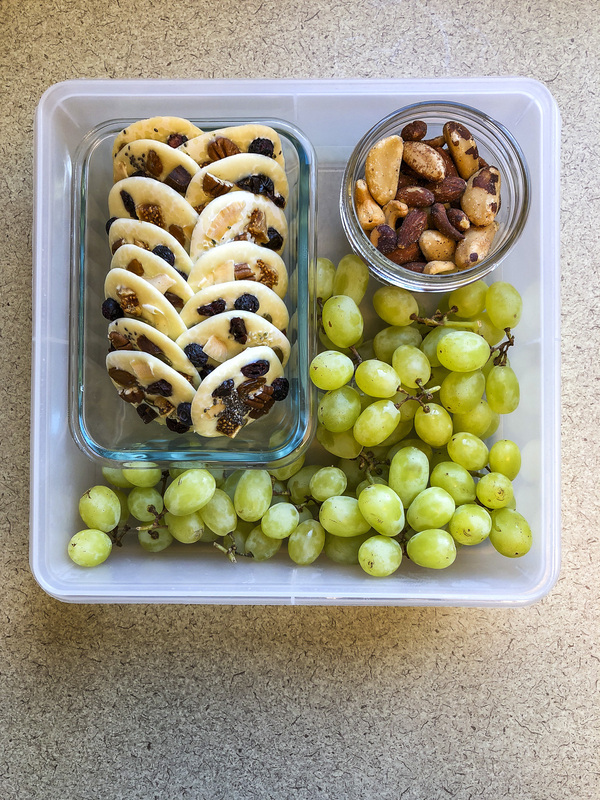 When the hunger hits at your desk or at the park, you’ll be so glad to have healthy snacks at the ready. As with my other posts that sometimes include products by name, unless stated otherwise, I pay for them myself and receive no free samples from the company. It looks healthy and delicious!! You are right that are easy to make and it also give protein, fiber, minerals, vitamins.